This property is 9 minutes walk from the beach. 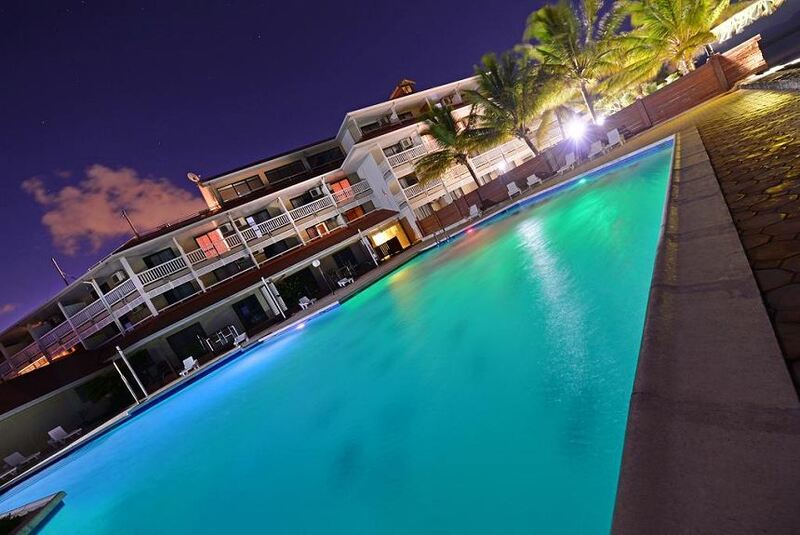 The Stanley Noumea is located on the water’s edge in the heart of Sainte Marie Bay. The outdoor swimming pool is surrounded by sun loungers and offers beautiful lagoon views. Each studio and suite at Le Stanley Hôtel is air-conditioned and includes a flat-screen TV, kitchenette and tiled floors. Every room has a private bathroom and balcony to enjoy the views over the lagoon. Featuring a covered outdoor terrace overlooking the bay of St. Mary, the Stanley Restaurant serves a mix of local and international flavours for breakfast each morning. Up to 250 MB of free WiFi is provided per day. Regular bus and taxi services run to and from Noumea town centre, just a 10-minute drive away. Tina Golf Course is a 15-minute drive away. Le Stanley Hôtel Noumea offers a shuttle service from the airport to the hotel at an extra cost.